Microsoft are currently releasing more details on the exciting new Project Madeira via their partner and consultants channels. At 365TalentPortal, we have our own free webinar session running on Friday 12th August at 12:30 BST with Microsoft UK – if you’d like to attend, please register HERE. But what knowledge is currently out there? In the absence of official detail, combined with a lot of excitement, it’s not surprising that there doesn’t seem to be a lot of clarity. Here is a brief roundup. Madeira is the next release of Dynamics NAV, right? Wrong. For a year or so, Dynamics ERP fans have been using the “Project Madeira” code name for the next release of Dynamics NAV. Whether this was the original plan or not is not widely known – certainly, Microsoft’s Paul White suggested it was in his closing summary at last year’s Directions North America in Orlando. There will no doubt be a lot of new information and clarification at Directions 2016 in Phoenix, Arizona from September 25th – 28th – the publicity still refers to ‘The upcoming NAV “Madeira” Release’. Fast forwards from last year’s Directions, to April 2016, and a few new Microsoft announcements set out a clear gap between Madeira and the existing Dynamics ERP product stable – namely AX, NAV, GP and SL. Rather than being the next release of NAV (or any other existing product), Microsoft defined Madeira as a public cloud service, hosted and operated by Microsoft, running on top of Microsoft Azure and designed for Windows, iOS or Android devices. Madeira is a true SaaS Cloud offering – and a brand new product. What has Madeira to do with Dynamics NAV? Dynamics NAV is the Microsoft ERP product which is most focussed throughout the SMB market – for small and mid-sized business users. Madeira is an SMB-focussed, cloud-based, stand alone, full featured financial management solution, hosted and operated by Microsoft, and will no doubt create a big wave in the market. There will be clear gaps and overlaps. Microsoft has outlined that Madeira will include financials, dimensions, sales and purchase management, inventory, CRM (opportunity management), multi-currency, and business insight, apparently optimized for 10-99 employee companies but with good scalability beyond that. Madeira will also be part of the SMB version of Dynamics 365 for small businesses with 10 to 250 employees—firms which Microsoft believes are large enough to need advanced functionality but small enough to lack the wherewithal to buy or deploy an enterprise resource planning system. So it looks like NAV users, fans and potential buyers may now have an alternative – but the Cloud does not suit every business. 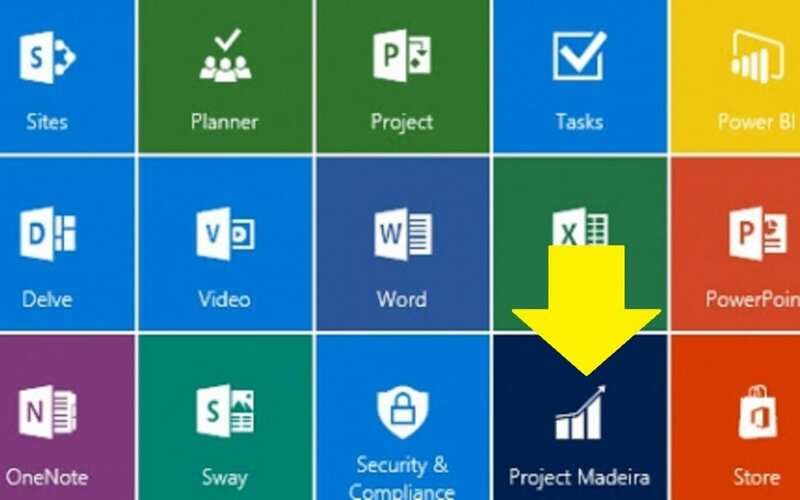 Microsoft have been at pains to point out that although Project Madeira is built on the Microsoft Dynamics NAV platform (as well as other Microsoft technologies including aspects of GP), they have a related but separate development stream for Dynamics NAV. Microsoft say that AX, GP and SL will also continue in separate streams. There has been a Madeira preview available for download since April at the official preview site . Please note you will need to provide an email which ties to US-related Office 365, although this has now been extended to include Canada as well. But if you are in APAC, LATAM, or EMEA (say, actually on the island of Madeira), you won’t be able to access Madeira preview. If you have trouble signing up, please see https://madeira.microsoft.com/en-us/documentation/ui-troubleshoot-self-signup/ which explains the rules and some workarounds. The official product launch is currently slated for September/October time. Detailed pricing, packaging and licensing info can be expected to be released over the next month or two. What else do we know at the moment? Outlook: To provide a common look and feel that all users would be able to understand, Madeira will run within Outlook in Office 365 for the most part, for users in financials, sales, purchasing, CRM and other related tasks. Without having to sign in to a separate ERP application, users will be able to create customers, vendors, quotes and invoices without leaving Outlook, although more sophisticated tasks would be done using a web client. Add ons: Microsoft has launched the AppSource marketplace so third-party developers can create extensions for Madeira in the same way as for Dynamics CRM and Dynamics 365. They are actively encouraging certain third-party software vendors, as well as other parts of Microsoft, to build both horizontal and vertical extensions – for instance there is already a Power BI content pack for Madeira. Target market: As well as a fully-fledged SMB solution, Madeira will also be likely strongly positioned as an ideal starter accounting system in the space of Quickbooks or Xero, and to help in this data migration tools have been built to migrate data from Excel and Quickbooks. We are running a webinar at 12:30 BST (13:30 CET, 7:30 EST) on Friday 12th August, where the next round of information will be shared by Andrea Ely of Microsoft UK. If you’d like to attend, please register HERE. To understand the currently available information, download the Madeira preview at the official preview site. This may be not be possible if you are not in the US or Canada, but for those of us that aren’t, Microsoft say they are thinking about addressing this. At 365 Talent Portal we run web and face to face Dynamics briefings on a regular basis. If you have any particular subjects you would like us to cover, please let us know via email here.